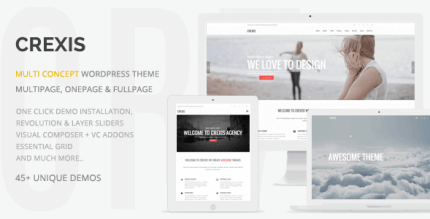 Norebro is a carefully crafted creative and high performance multi-purpose WordPress Theme for personal and corporate use from Themeforest. It comes with the most popular page builder WordPress Visual Composer. Create gorgeous pages and layouts fast and easy without coding. No Coding Required. It’s easy to modify and adjust all the elements from the header of a page to the footer. Customize everything you want. Highly Customizable. Make your site look the way you want it to by customizing it using built-in tools and settings. 30+ Unique Demos. Choose from over 30+ website concepts with inner pages or combine your own page layouts using Visual Composer. All you have to do is fill it with your original content and your website is ready to go. 90+ Shortcodes. Use beautiful and useful premade custom Visual Composer elements to bring your web pages to the next level with no coding experience. Powerful Admin Interface. 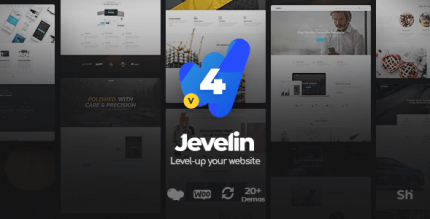 Building gorgeous and creative websites has never been so easy. Fully Responsive. Provide your mobile users with the best experience by sharing the most detailed images. SEO Optimized. Get more visitors by making the content of your website fully visible for search engines. Fully Customizable Headers. Choose the best header style for your needs from premade layouts or customize your own. Fixed Header. You can set header to be fixed, and set it to shrink on page scroll. Scrolling Nav. Page layout for creating smooth scrolling, one page websites. Visual Composer for WordPress. Create gorgeous projects quickly and easily without any coding skills. Slider Revolution Responsive WordPress Plugin. 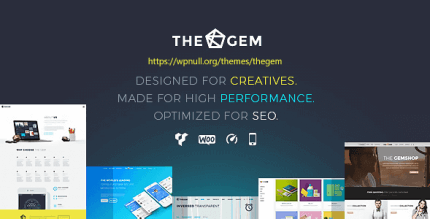 An innovative plugin that displays your website the beautiful way. Contact Form 7. Easy way to add custom forms to your website. WooCommerce Ready. Norebro comes with the most popular eCommerce engine WooCommerce. High performance, product variations, AJAX cart. Translation Ready. Translate your project to any language with PO translation, WPML plugin and RTL style. Custom Typography. Feature your web project by choosing from 800+ Google Fonts that suits it the most. Portfolio Grid & Page Layouts. Featured portfolio functionality with masonry grid layout, beautiful animations and flexible settings. Masonry Blog. Easy way to get started telling us your stories using versatile and amazing blog layouts. I cannot change main pictures and not even delete them of products at woocommerce. I cannot add main picture for product that I newly created. However I can add pictures into product gallery. No, this theme not necessary to be nulled, it’s original version. Are these themes 100% clean and are the original unmodified? Got it anyway, files are good, cheers!